The Coconut Syndrome (also known as Dry Coconut Syndrome) is non-medical and non-psychological term to describe a person from Arab descent who was raised and/or born in a North American or European country and has adopted their society's culture, traditions and values. The term was first mentioned in 1999 in an newspaper article where it was mentioned that Papua New Guineans are suffering from the “dry coconut syndrome”—brown on the outside, but white on the inside. These are the people who suddenly forget their own ways because they are living in another country. 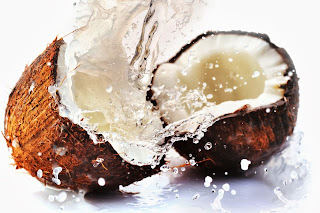 The Coconut Syndrome only appears in so-called urban dictionaries and is not widely used.